Do you want to became an official reseller of MilanoCard ? Is easy and you can earn a lot without any obligation. Discover how you can start to sell our products. Do you want to purchase our product in a minute, with your credit card, for net rate, without any registration and receiving the products at Milan Airports/Railway Station (where your customer maybe arrive) or at your hotel? Start to sell the products. We will directly manage payment, delivery and assistance for your customers. You have just to wait the monthly sales report and…the money! Receive at the end of each month a sales report and your commission directly on your bank account. 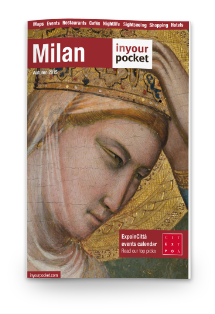 If you still have your booking system, upload our product on your website, send us a copy of the voucher providden to the final customer, inform your customer about the pickup of their MilanoCard in Milan at our office and…let’s start! Receive our invoice net rate – at the end of each month and make the payment. Sometime, for this type of dealer we ask a credit card to gurantee purchase of your customers. Do you want to sell the MilanoCard or our products trought your offline channels and pre-purchaising the product? Well we have a solution also for you. We can provide you a stock of product pre-paid or guaranteed and you are able to make your marketing agreeding with us the advertisement policy.